East Africa has become a focal point for impact investors across the globe, with investments steadily increasing since 2010. Yet despite this growth in recent years, the number of investment opportunities available remains limited. 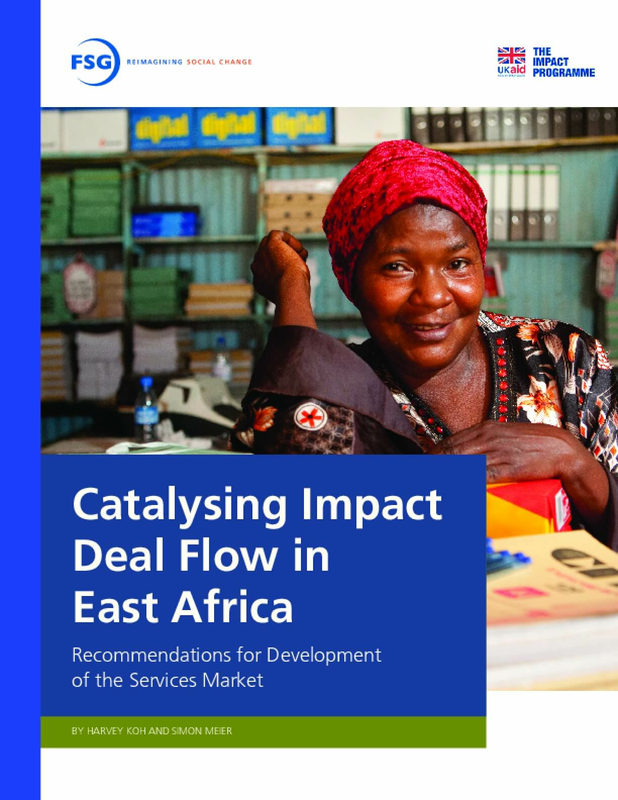 Catalysing Impact Deal Flow in East Africa explores the causes of this constraint and provides recommendations for donors seeking to increase impact investing volumes (deal flow). Two key challenges are constraining the growth of impact investing in East Africa: 1) The pairing of investors and enterprises ("matching challenge"); and 2) enterprises' lack of readiness to take on investment ("preparation challenge"). Local service providers (consulting and advisory firms) that help enterprises raise capital and build capacity are already addressing both the matching and the preparation challenges. However, these service providers themselves face constraints in scaling their services due to delayed and conditional payment of fees from enterprises resulting from a deferred success fee model. An appropriate market-shaping intervention could help service providers to scale up sustainably, and help to develop a more vibrant impact investing market overall.